WE should all thank Conservative Councillor Rob Fryer for at last flushing out what the Neighbourhood Planning Group is up to. 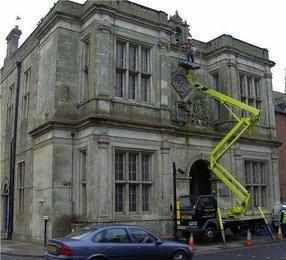 It is planning the demolition of the town's Library and the building of a new link road between Portway and the central car park - cutting a swathe through The Avenue and passing close to the hospital. Most people would think this an outrage. Cllr Steve Dancey, who was first elected to represent Warminster in the 1980s, said: "I am shocked at some of the things this unelected group has been hatching without the knowledge of elected members. "At the last election the only meaningful poll took place in East Ward where three Conservatives were dumped and replaced by three independents - yet we, the properly democratically elected members, are not kept in the loop, we don't attend the Conservative group meetings at the Cons Club. "The group of people making these plans as the NPWG, meet more regularly than any council committee, behind closed doors and, although I'm sure they are striving to do what they think is best they are certainly not very representative of this town's real people. "They all come from the same 'establishment' box - perhaps we would have done better to ask the committee of the local skittles league or pulled people out of the snug bar at the Fox and Hounds as then we would have enlisted some Warminster natives! "As an elected member I don't feel as if I had any say whatsoever in the selection of the members of the Neighbourhood Plan Working Group and I'm sure Paul and Nick feel the same. "And, of course, we should have some say - but who shouldn't?" Amazingly the group planning the future of the town is led by a former councillor who was rejected by the electorate in the Broadway ward. An election where voters had the limited choice of selecting four people from five candidates. The two independent candidates romped home ahead of the two successful Conservatives and voters gave Mr Nicklin the thumbs down. But despite this the party political councillors - the Conservatives - have pushed their former de-facto leader into a position of major influence at the head of this planning group. They have even sweet talked fellow Independent Cllr. Jamie Cullen into being their town councillor of the moment despite his having absolutely nil experience of local government and promoting him to be chairman of a town development committee. Michael Mounde (a paid up Conservative from the Deverills who for some reason sits on the neighbourhood Plan Working Group) informed Cllr. Paul Macdonald to 'wait' before he could a hold position of responsibility when he offered himself to lead the NPWG. More double standards and double-talk. 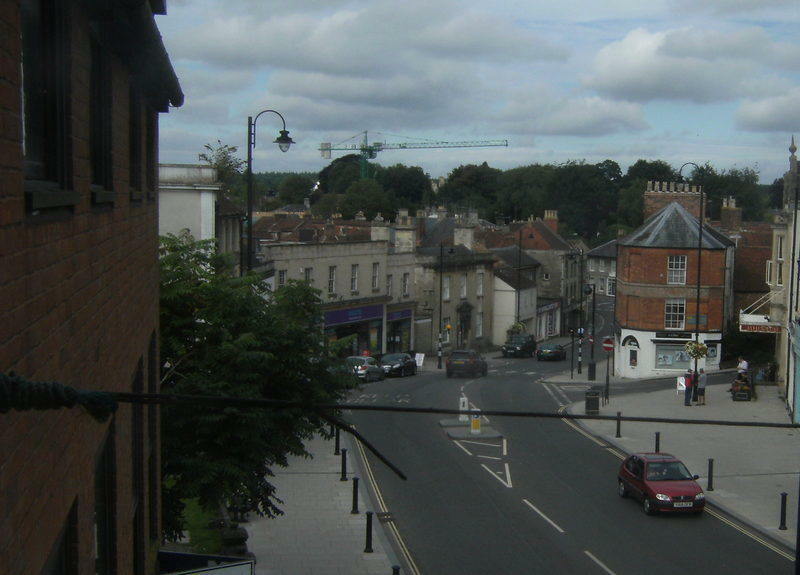 Cllr Dancey added: "Having lived in this town since the 1950s, grown up here and raised a family here, I know Warminster inside out and can say truthfully that local people will find the plan to demolish a library building constructed in 1981 totally wasteful and unacceptable. "However I am even more staggered that this out of touch bunch can even consider driving a new road past the hospital. Have they lost their marbles? "Such proposals will be very easy for us to defeat in a referendum." The reason this item has surfaced at this meeting is that some councillors still want to promote a simplistic balanced planning approach pushing 100s more homes into the mix - many on the east side of the town. Sounds fair? But it is bonkers in planning terms as it would site many more homes some way from the national highway network rather than adjacent to it in the west. Do you really expected people living in any new homes on the east who wish to travel to work along the A350 (south), A362, A36 (Bath) or A350 (north) to head out to Heytesbury to connect with the national roads network at Cotley Hill roundabout? Think about it! It wouldn't happen and all of those commuters will drive through the town night and morning (apart from those heading on the A36 east). The six-month rule. The decision on settlement boundaries taken at the last special meeting cannot even be discussed or overturned without breaking the council's rule book. Any attempt to do so will be clarioned in our new leaflet distributed to the whole town. Amazing! In almost 30 years of reading agendas as either a council member or journalist I cannot recall an example where an item was issued in Part 1 of an agenda with the proviso that it isn't for copying. Once in the public domain it is in the public domain and that is it. If there is a good reason to place it in Part 2 (set out in the sections of the 1972 Local Government Act) then so be it. I'm afraid this cat is now out of the bag and won't be going back in. *The principal officer of Warminster Town Council the town clerk is on holiday we have been told. Expect an update om Monday.